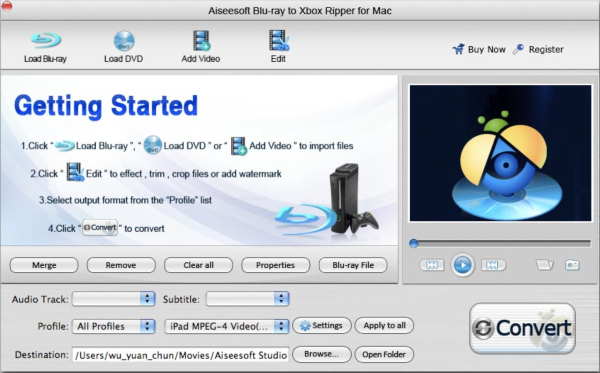 Aiseesoft Blu Ray to Xbox Ripper is one type of Blu Ray ripping softwares for Mac OS X. Aiseesoft Blu-ray to Xbox Ripper for Mac can rip blu ray disk and convert DVD files to Xbox. Rip Blu-ray disc, DVD and video to Xbox. Support Blu-ray Playlist.